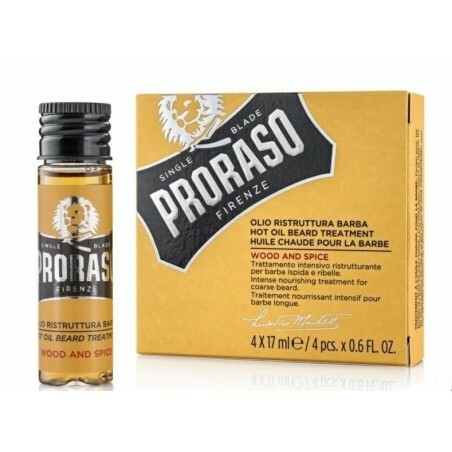 Proraso Beard Hot Oil 30ml (4 pcs x 17 ml). Perfect for all beard long lovers! 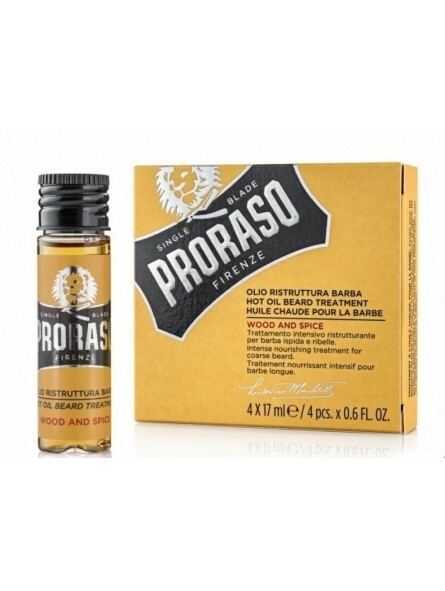 Excellent for nourishing and repairing even the wiriest beard helping a healthy growth with no breakage. How to use it; Immerge the phial in a bowl of hot water (not boiling) for approximately one minute. Dampen your beard with warm water and then rub oil into your beard from roots to tips. Leave it on for at least two minutes then rinse thoroughly.